Vani Volavola (pictured) had a sigh of relief when her fiancé Jasa Veremalua and the national men’s rugby sevens team won the country’s first Olympic gold medal in Rio de Janeiro, Brazil yesterday. This means with the Olympic campaign over they are going to tie the knot as soon as he returns from the Olympics. Speaking to SUNsports yesterday, Vani said she would prefer to keep their wedding date a secret. “It’s going to be a small family celebration in the Coral Coast,” she said. Vani said she has been waking up early in the morning just to watch Jasa play. “From what they have achieved last year and their training, yes, I was expecting them to win the gold from Rio,” she said with a grin. 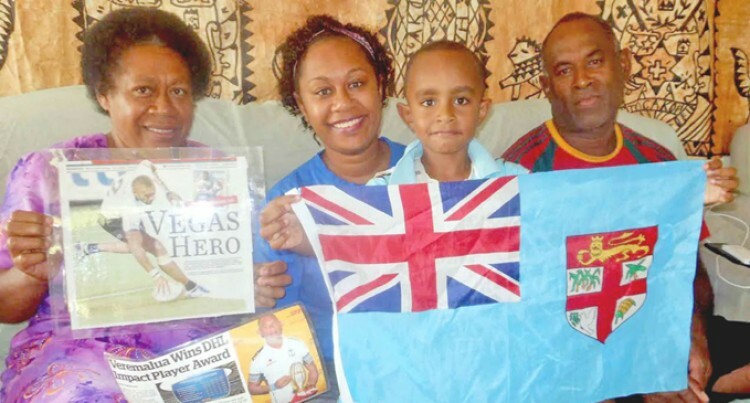 She said her faith was tested when Fiji played New Zealand in the quarterfinals. Vani said the last time they spoke was when the team arrived in the games village in Rio after a week-long camp in Chile. “We did have a conversation as soon as they got off the plane at Santiago and then when they reached Rio their phone was taken by the coach but then they got it back when they went in to the ground for the medal presentation ceremony. “The last time I spoke to him- my last words were this, ‘this is the only moment you’ve been waiting for so give it your best and treat all your game as it’s your last’. And yes he did his best,” she added.